Adobe Illustrator is my go-to software for anything and everything design-related. It's the one program I truly couldn't work without. And while it's easy to assume that the program's primary focus is illustration based on the name, there is so much more to this design software. With tools for type, color, photo cropping, image tracing, drawing, and much more, it has innumerable benefits for bloggers and business owners, alike. To get your creative gears turning, here's a look at 40 ways Adobe Illustrator can take your blog and/or business to the next level. First impressions are crucial, especially in business. Potential customers and clients make judgments about your business within the first few seconds of coming into contact with it, whether it’s through your website, your social media accounts, or a simple blog post graphic. And those initial thoughts - whether they’re spot on or far off from what you want them to be - are within your control. You have the opportunity to make a killer first impression through high-quality, branded visuals. 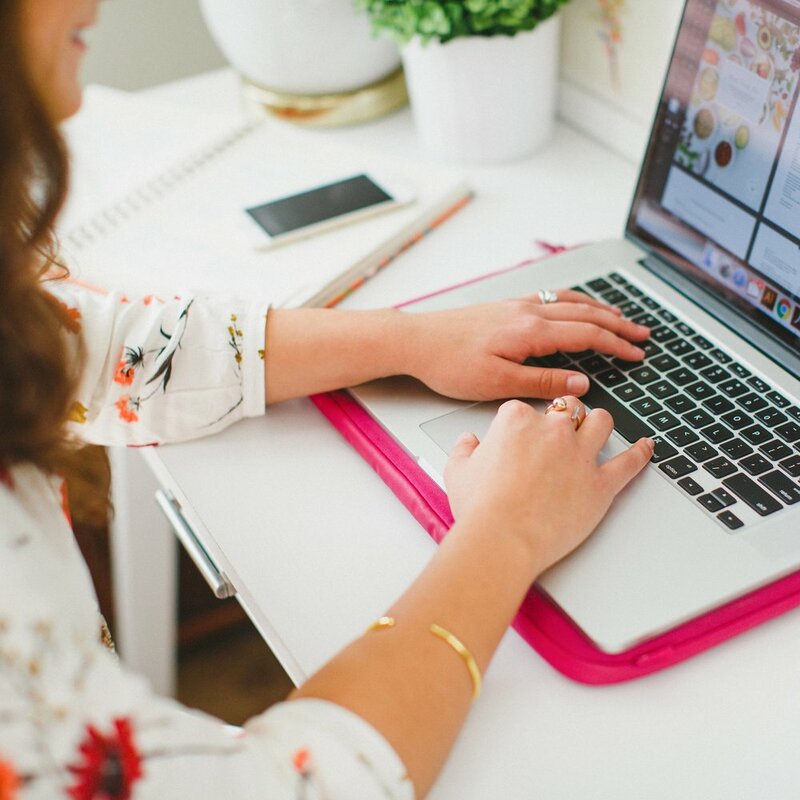 If your blog is a large part of your business or you’re hoping to drive more traffic back to your site through your blog, you have to have eye-catching blog graphics to not only generate a positive first impression, but to encourage readers to share your posts on sites like Pinterest and be seen by an even wider audience. So how do you create eye-catching blog post graphics? And better yet, how can you set them apart so they’ll stand out from the rest and be recognized time and time again? Video platforms like YouTube (and more recently, Periscope) are easily the world’s greatest time-wasters. We’ve all been guilty of losing track of time on YouTube at least once, because videos are easily consumable, very addicting, and highly entertaining. As a matter of fact, studies show that a whopping 78% of us watch videos online every week and 55% watch videos online every day. Which is why Youtube is also the world’s greatest overnight-success-maker. If you’re on the production-side of a video and you’ve come up with a clever idea, you might just have a viral hit on your hands. Video holds a lot of potential for interaction, engagement, and shares for creative businesses. And for that reason, it’s one of the best visual marketing tools you can use. But it producing videos can be a little overwhelming, can’t it? Even with helpful video tools out there like Animoto, many of us struggle to come up with simple ideas for video content that would appeal to our audience. And that’s where this post comes in. I’ve rounded up 40 easy, engaging video content ideas to help get your creative gears turning. My hope is that you’ll find a few ideas to implement and as a result, bring your business more exposure. If you’re looking for a good way to kill at least an hour of your time, type in the word “infographic” in the Pinterest search bar. Then, after you’ve admired the genius creativity behind them, take a gander at how many repins and likes each of those infographics receives. Thousands upon thousands. In fact, infographic volumes have increased by over 800% in 2 years. Publishers who use infographics grow in traffic an average of 12% more than those who don’t. What is it about infographics that makes them so appealing? And better yet, how can you come up with some clever infographics for your business so it gains more exposure through likes and shares? I have all the answers for you in this post. Is your headline the first thing you consider when you sit down to write a post? Probably not, but creating a catchy blog post title is one of the most important aspects of each blog post. It's the gateway to your content; it convinces people to click or scroll right past your latest post'. In fact, studies show that 8 out of 10 people will read your headline but only 2 out of 10 will read your entire post. Here are a few pointers for drawing in potential readers and a couple "templates" to help you create a catchy headline for your upcoming posts. You can do a killer job on all of the steps we’ve covered over the past 3 weeks. But if your photos are amateur or inconsistent with the rest of your brand, your brand will fall short. Every. Single. Time. This post is part of Elle & Company’s 4-week Brand Challenge. Click here to see more details, sign up, and access the free workbook. Your colors are all set! Now it’s time to dive into fonts. But finding, choosing, and pairing fonts for your brand isn’t as simple as grabbing Comic Sans and Baskerville from the list of included fonts on your computer and calling it a day. Actually, please don’t use Comic Sans as a brand font. Ever. Today’s action step and blog post will walk you through what to consider and how to go about choosing fonts for your one-of-a-kind brand. I always start out the year with high hopes and great aspirations (as evidenced by my last few blog posts and emails). I love planning and goal setting, but it’s often the easiest part of the process. It’s fun scheming up ideas and making plans; it’s much harder to actually take action and bring them to fruition. So in today’s post, I’m following up on my goals and plans from last year and giving you a transparent look at how they panned out. The New Year marks a clean slate. It’s prime time for planning and goal setting, and while you may plan and set goals with good intentions, you won’t be able to carry them out if you aren’t productive. So in this first Ellechat podcast episode of 2019, I’m sharing 7 of my best productivity tips to help you start this year off on the right foot and actually make progress toward your business goals. Tomorrow marks the start of 2019 and I don’t know about you, but I’m ready for the fresh start and clean slate that January 1st brings. 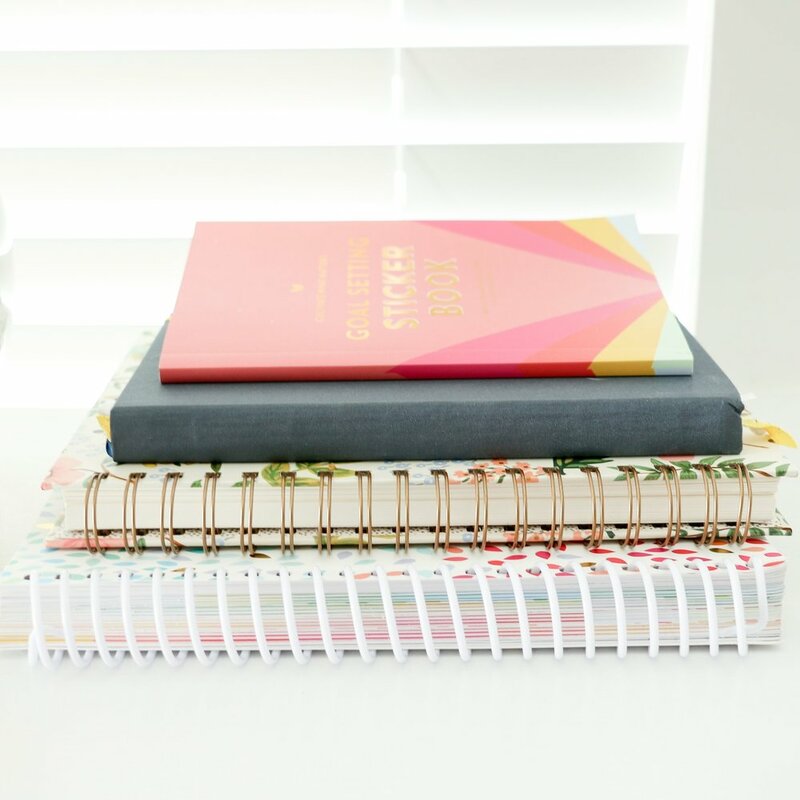 I’ve tried my hand at many different goal-setting planners, journals, and apps for both business and personal use in the past, like the Best Self Journal, Cultivate What Matters PowerSheets, and the 5 Second Journal. And all of them worked well for the season I used them in. But this year I’m paring down and taking a slightly different approach to setting goals, mapping out my time, and keeping up with my schedule.